Your query for "N-1993-002 AND GRAPHIC" returned 654 results. Showing 1 to 20 of 654 results. Arctic Red River, 21 April 1957. 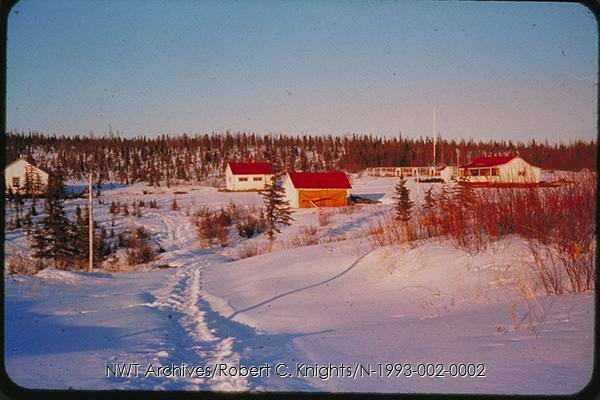 RCMP detachment office and single quarters on left, ice house is in center and warehouse and workshop are on right. Arctic Red River, 21 April 1957. RCMP detachment warehouse and workshop is on the left, two warehouses are in center and the Special Cst's house is on the right. A dog corral is in the right background. 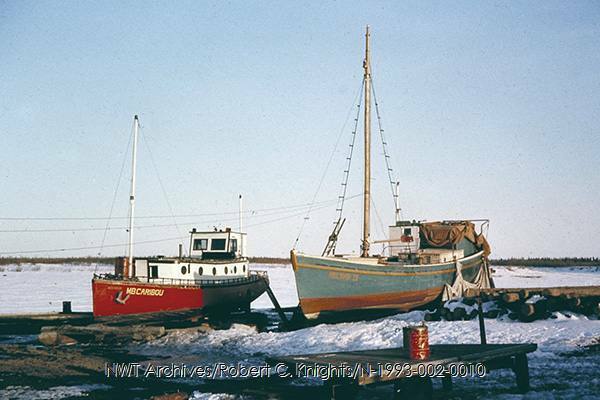 Arctic Red River, 21 April 1957. 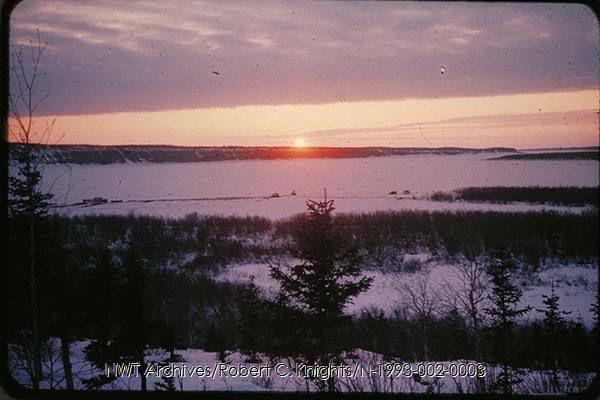 View of the midnight sun looking north down the MacKenzie River. Taken from the RCMP detachment. 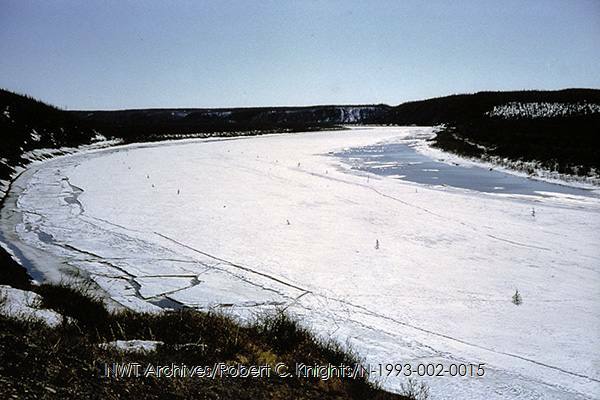 East Branch of the MacKenzie River, 22 April 1957. S/Cst. 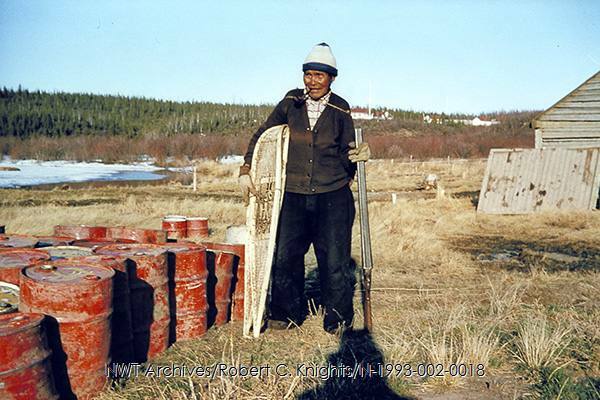 Andre Jerome on patrol from Arctic Red River to East Three [Inuvik]. 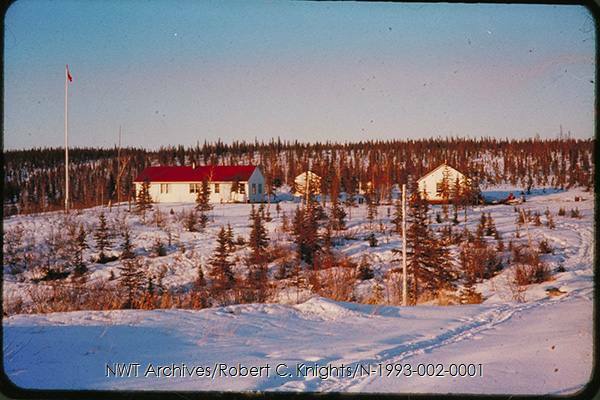 East Three [Inuvik], 23 April 1957. First Winter Carnival. The carnival queen may be Florence Hagen. 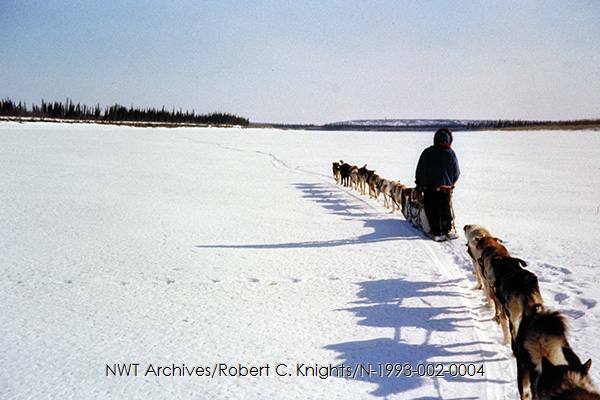 Delta between East Three [Inuvik] and Aklavik, 24 April 1957. 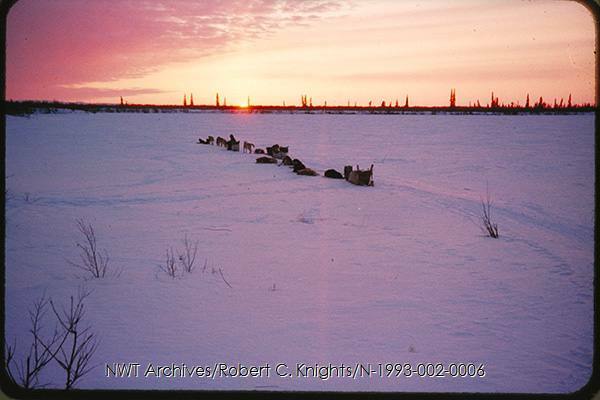 Taken as 3 dog teams stop for tea on a police patrol from Arctic Red River to East Three [Inuvik]. 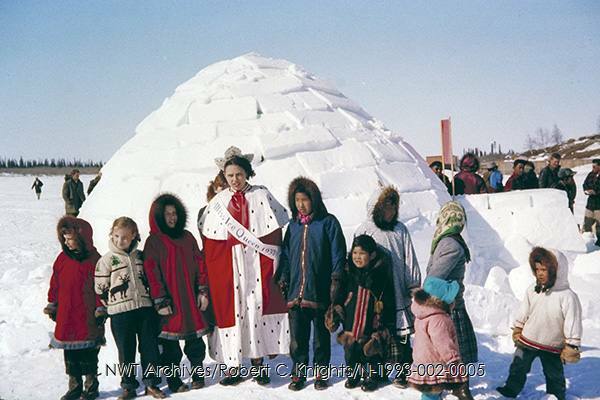 Father Brown accompanied patrol from East Three [Inuvik] to Aklavik. 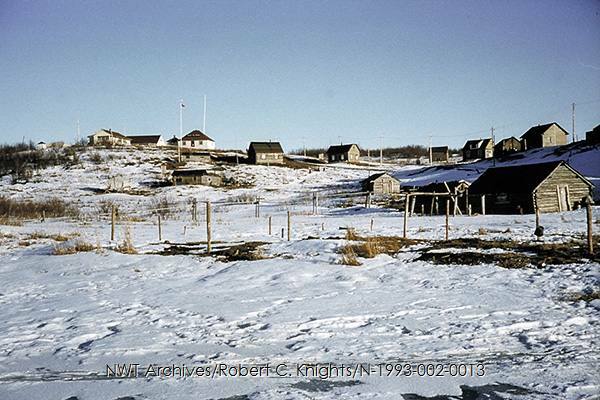 East Three [Inuvik], 24 April 1957. S/Cst. Andre Jerome showing items carried on dog patrol.  RCMP patrol from Arctic Red River to East Three [Inuvik] and Aklavik. Cst. 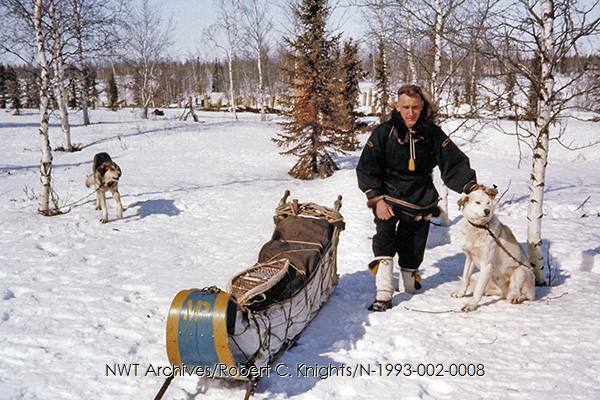 Bob Knights hooking up dogs to loaded toboggan. RCMP patrol from Arctic Red River to East Three [Inuvik] and Aklavik. 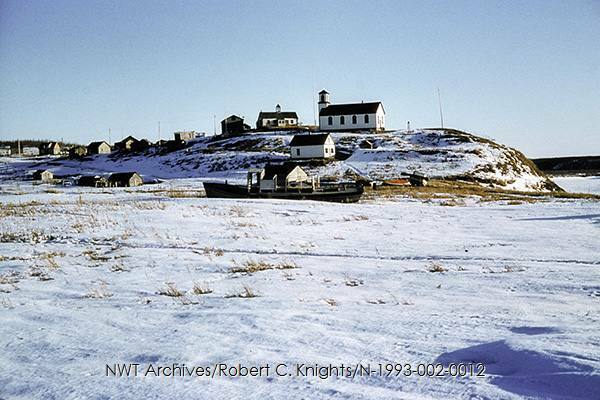 East Three [Inuvik], 23 April 1957. 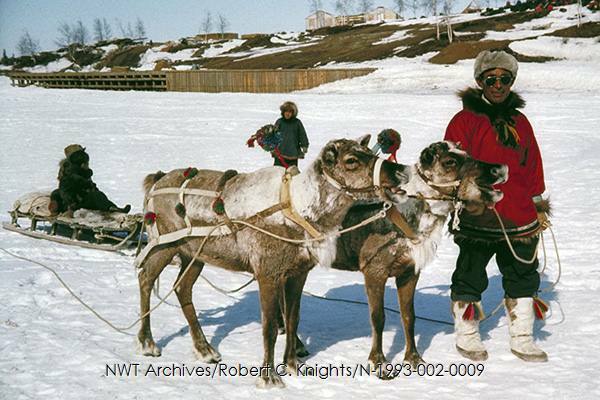 Herder [Buster Kailek] and the reindeer brought down to give sled rides for the first winter carnival. 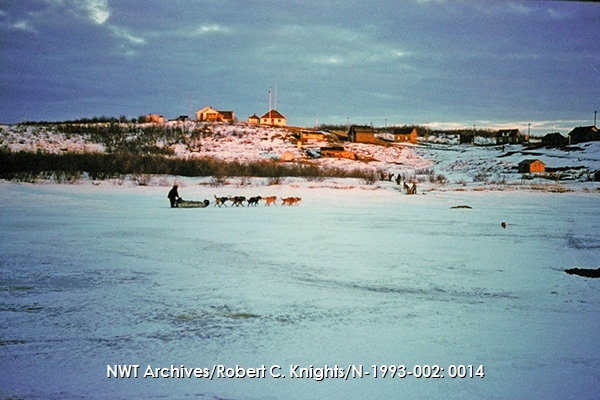 Taken on river ice with new dock in background. 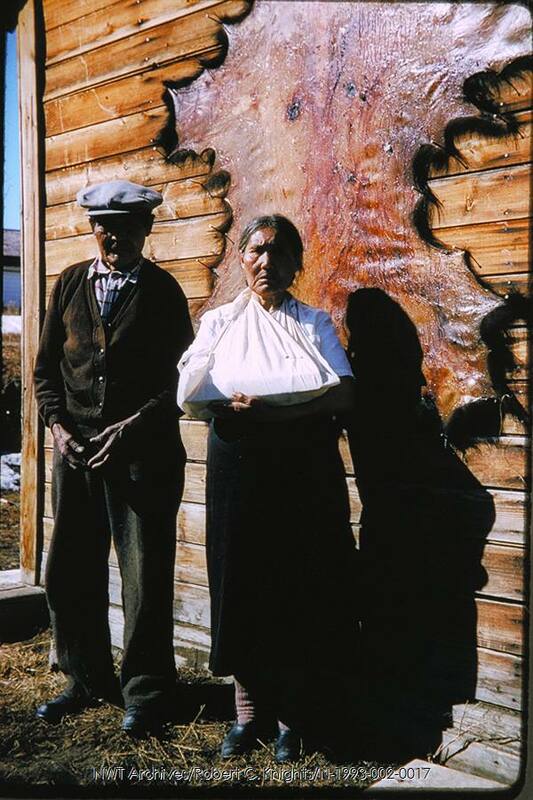 Aklavik, 25 April 1957. Northern Affairs boat is on left and the RCMP schooner on right. 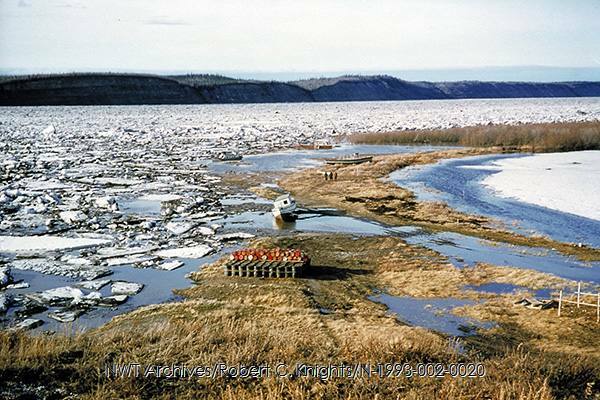 Arctic Red River, May 10 1957. 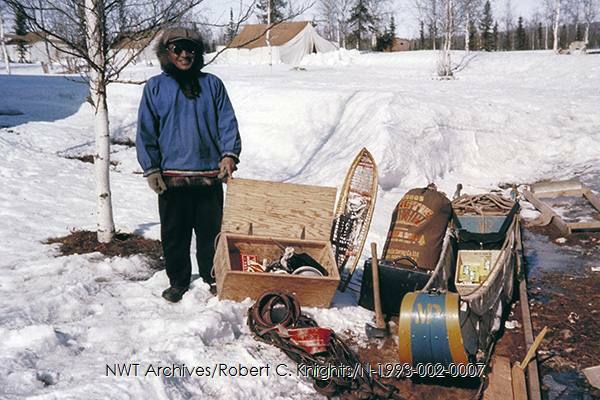 Tom Trone, a white trapper who lived at Point Separation, when he came to buy supplies before break-up. Arctic Red River, 10 May 1957. Roman Catholic Mission on hill. Arctic Red River, 10 May 1957. Hudson's Bay Company on left side of hill. Arctic Red River, 14 May 1957. 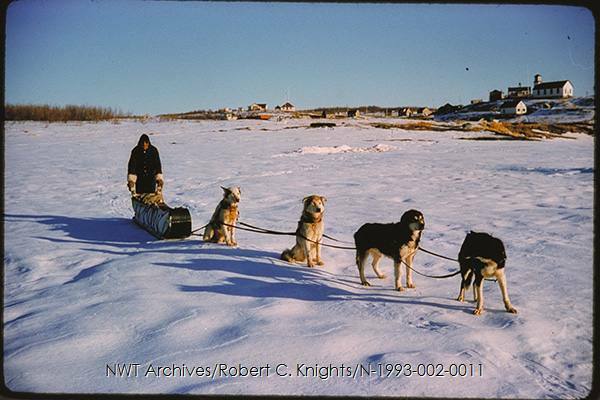 Five dog teams arriving in from Tree River. The Hudson's Bay Company is on left side of hill. Arctic Red River, 20 May 1957. Looking west at the break-up of the Red River. The spruce trees mark the runway. Arctic Red River, 22 May 1957. Looking west at the break-up of the Red River. Arctic Red River, 23 May 1957. Joe and Annie Natsi. Annie had broken wrist. Arctic Red River, 25 May 1957. Joe Natsi. Arctic Red River, 25 May 1957. 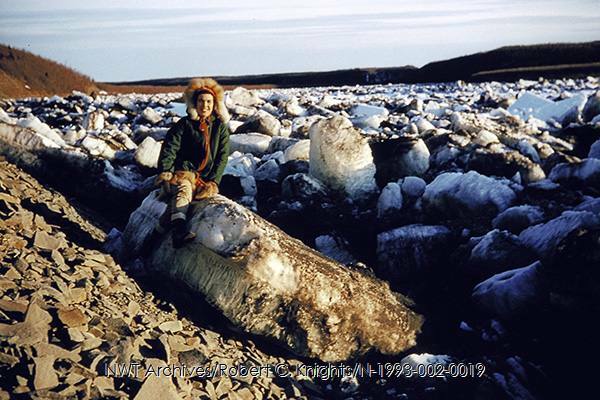 Mary Hunter, Hudson Bay Company Manager's wife, in front of Red River ice break-up. Arctic Red River, 25 May 1957. Boat and barrels tied so they won't float away during the MacKenzie River break-up.